Historic preservation is a tool that can be used for purposes of good or bad. As a tool for good, it can be used to safeguard the long-term historic-cultural legacy of a place against the caprices of private interests. As a tool for bad, it is a bludgeon used for protecting the interests of homeowners. Some buildings-like: churches, museums, libraries, civic, and cultural buildings-naturally lend themselves to historic preservation. 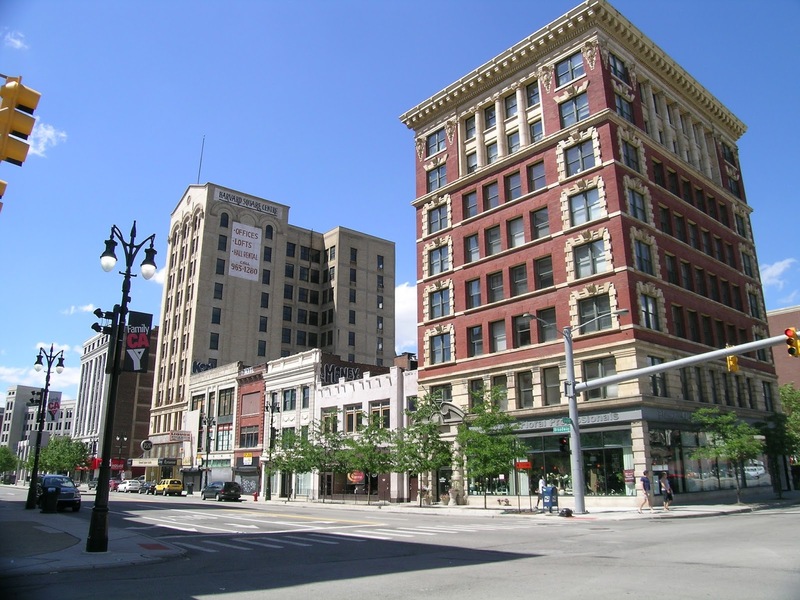 Historic preservation ensures that these resources survive economic disasters, irresponsible managers, and trends. 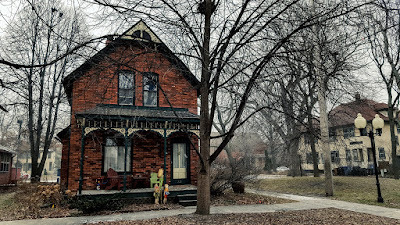 By contrast, houses are not always the best candidates for preservation. 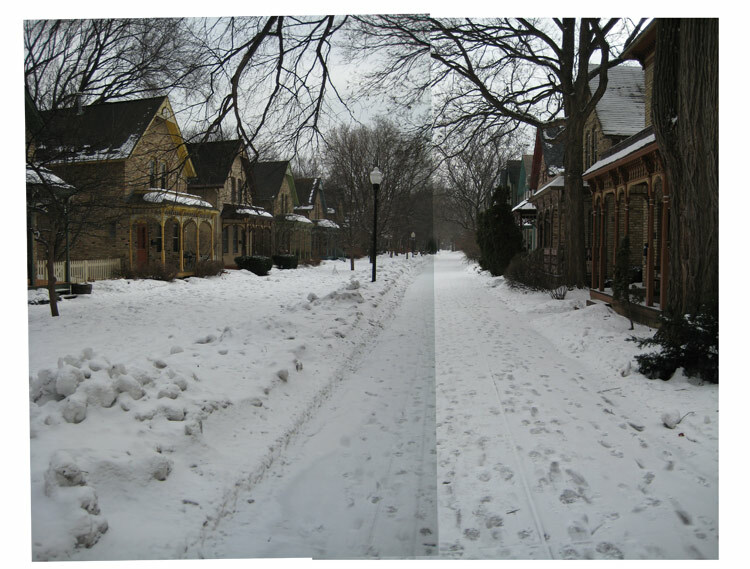 Kriston Capps writes in his CityLab article, "Why Historic Preservation Districts Should Be a Thing of the Past," "Houses, on the other hand are often poor candidates for historic preservation." This sounds harsh to people who, like Mr. Capps, love residential architecture. 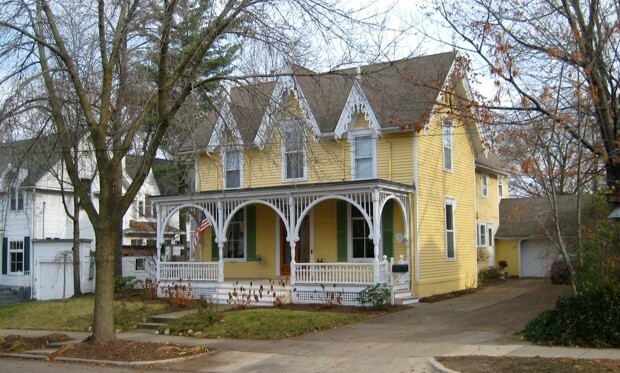 Historic homes can carry cultural and historic weight. However, houses are privately owned and owners frequently argue, "it's my house and I can do what I want with it." 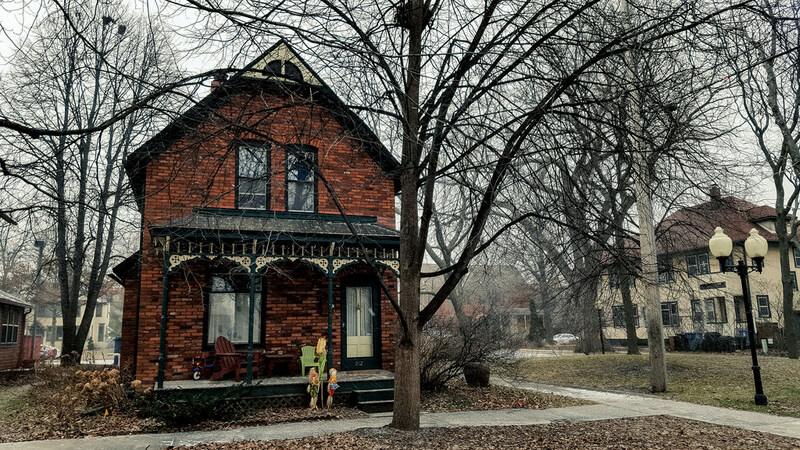 Houses are a source of wealth and when historic districts are established, it is a way to protect that source of culture, architecture, and history. Sometimes they buttress wealth, status, and power. We are in, what Blogger calls "the silly season," the Presidential election cycle. Both the Republican and Democratic parties seemed more emboldened, proposing whatever policy initiatives will make them attractive to voters. In the Midwestern United States, the Republican party is waging combat against historic preservation. "What do you mean?" you may ask. Why target historic preservation for anything? Recently, "conservative lawmakers in Michigan proposed an amendment to the state's 1970 Local Historic Districts Act, the law that provides for establishing historic districts." The amendment would make it more difficult to establish historic district and add a "sunset" clause that would make historic designation lapse every ten years. How would feel if you woke up one day and found your house subject to 40 pages of rules and regulations?...Burdensome regulations that require you to get permission from a government committee to improve your house, get approval for paint color, or the style and brand of windows you buy. Obviously Mr. Lasee has never perused the volumes of zoning laws and building codes in his district. Republican State Representative Chris Afendoulis echoed this sentiment. In a statement to The Grand Rapids Press, Mr. Afendoulis said "...that the bill would give homeowners more say in the materials they use in home-construction projects." I just want people to have a little more say over their property, said Mr. Afendoulis. Yours truly supposes that someone forgot to tell Messrs. Lasee and Afendoulis that historic preservation is voluntary. Kriston Capps writes, "Preservationists in Michigan are raising the right questions about the push from conservative state lawmakers there. (For example: 'Why would the State impose a sunset clause on local decisions?') The property-owners' rights frame embraced by the GOP reads like an effort to make it easier for homeowners to add a chintzy garage to a Craftsman home." (never, never, never) To be certain, the preservation of history and culture is not a value that Midwestern Republicans cherish. However, the arguments opposed to the initiative are not solely based in aesthetics. Essentially, both sides are arguing in favor of homeowners's financial interests. 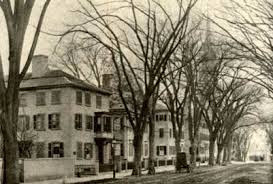 Regulating historic landmarks and districts does more than provide economic and cultural value. It protects a property owner's investment...It prevents your neighbor from demolishing or inappropriately altering his historic home and thus the fabric of the historic district that give your property value. Currently,, there are about 2,300 historic districts in the United States, most are are based on "authenticating the assets of single-family homeowners." Mr. Capps rightly observes that "Neither property-rights advocates nor preservationists are asking the more fundamental questions about whether insisting on single-family zoning-even for the most gorgeous houses in the nation-is a fair and just thing to do." Robert Behre, the architecture critic for The Post and Courier (http://www.postandcourier.com), has reported from the frontline of the historic preservation combat zone in Charleston, South Carolina. Mr. Behre writes about the broad issues of modernism versus traditionalism; housing and affordability. 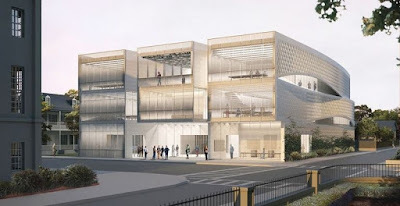 Since 2012, Mr. Behre has written about efforts by Clemson University to build an architecture center designed by Brad Cloepfill of Allied Works in Portland, Oregon. This is the second scheme for Clemson following the scuttled architecture center, designed in 2005 by Boston's Kennedy & Violich. In both cases, the neighborhood preservationists were successful in preventing the building from going up. Most recently, in late 2014 after receiving final approval for the design, Clemson was forced to abandon its plan, goaded by a lawsuit brought by two historic preservation groups and neighborhood organizations. 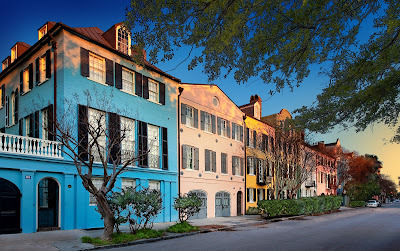 Charleston has the oldest historic district in the United States, and modernist endeavors clash with historic preservation in the city in the same way that polka dots clash with checked patterns. Thus, the hallmark historic charm of the city is a powerful economic engine. Last year, The New York Times, put the matter in a different way. The booming port and manufacturing sector, coupled with that southern charm, has turned Charleston into a growing metropolitan area with a growing population. 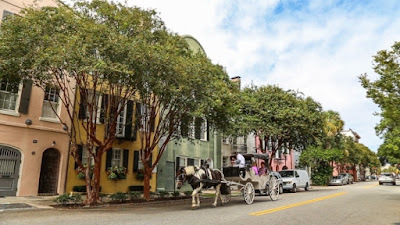 However, as Mr. Capps observes, "...Charleston isn't growing at all: Historic downtown, where density hasn't budged, has seen real estate prices skyrocket." For example, in suburban Mount Pleasant, civic authorities enacted a "growth" plan in late 2015 that actually altered zoning laws, orienting them for less-dense housing-partly because a developer put up a large multi-residence building. Kriston Capps laments the architecture, falling victim "...to a powerful sense of entitlement among homeowners nurtured by a historic district designation." Yet, the situation in Mount Pleasant is dire. Charleston is simply unable to continue to allow single family homeowners to act as is their neighborhoods are that precious. 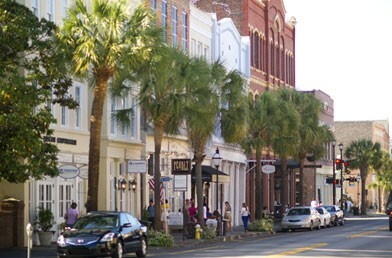 Mr. Behre reported that Charleston is changing its architectural review process, which would make it easier for more ambitious growth. Not every Charleston resident is anti-growth, in fact, there is a genuine interest in architecture that is not just for show. Be that as it may, the same arguments being used to thwart the new architecture center is being employed to scuttle affordable housing and that is the problem. "The result is a Charleston elite of increasingly wealth downtown residents, and an affordable housing crisis for everybody else." Bottom line, no one wants to see a beautiful Georgian home razed and replaced by some bland boring box of an apartment building. Do you really want to flatten a classic Queen Anne and put up some characterless condominium? Yours truly did not think so. Just the opposite, people want to live in beautiful historic homes or, at least, near them for work, the schools, amenities, safety, and the property values that historic district earn. That said, historic district can also be an obstacle to this access, wielded like a cudgel in the name of preserving the historic fabric of a neighborhood. The results are pockets of extremely segregated wealth and access-regardless if the homes are historic or those dreadful McMansions. This is a terrible use of historic preservation. Kristin Capps writes, "That case against historic districting is similar to the case against protectionists single-family zoning anywhere." This makes it a constitutional issues. Last year, the United States Supreme Court rendered a decision on "disparate impact," meaning that "wealthy communities cannot keep affordable housing out because wealthy residents that they're better off without it." The federal Affordable Furthering Fair Housing rule specifically states that "cities and neighborhood cant use single-family zoning to keep affordable housing at bay." As cities deal with the increasing national housing crisis, the market and need for building more densely will grow, seeping into the historic districts. Historic preservation can be a tool to alleviate this crisis: protecting precious community resources not a tool for protecting private assets. Regardless of how you vote during the primaries and general election, one thing you should keep in mind is that historic preservation is for everyone, not for the wealthy few.